Formed in 2010 and hailing from the Detroit area music scene Wayland, named for their home town of Wayland, MI which is actually closer to Lake Michigan, than Detroit drops their first studio album, Rinse and Repeat with Kiefer Sutherland’s record label, yes, the 24 guy, Iron Works Records. Before getting the album in hand I heard the track Through The Fire and really enjoyed and thought this single had a lot of potential for air play and couldn’t wait to hear the rest. The album, Rinse and Repeat, is nothing short of a great energetic and solid album. It is well produced and Wayland’s sound really stands out — you can hear everything from today’s rock styles to classic rock like Led Zepplin come across in their music…even some Southern rock sounds came across which made me question.. where are they from again. The album , which drops on September 22, 2017, is also not just straight up rock the whole time. Wayland slows things down on a few of the track with almost ballad like introductions on the tracks Back to Life and Follow – while other tracks could be straight up party songs for sure like All Rise and The Brave Don’t Run. If you like bands like Devour the Day, Shaman’s Harvest, and Egypt Central you will almost certainly like Wayland’s album too. This band and album as huge potential with a sound that truly delivers a great album and we are also looking forward to checking Wayland out when the come to town too. If they put on a good live show and sound just like the album — it’s going to be a great performance! 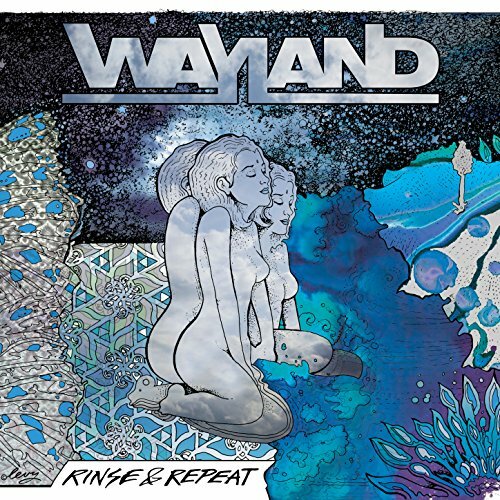 Wayland delivers a solid album with diverse sound. Formed in 2010 and hailing from the Detroit area music scene Wayland releases Rinse and Repeat.